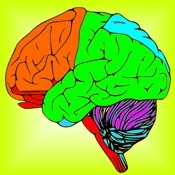 Best App on Brain & Nerves! Learn all the cool things about your brain and nervous system here! The brain is the control center of the body. It controls thoughts, memory, speech and movement. It regulates the function of many organs. When the brain is healthy, it works quickly and automatically. However, when problems occur, the results can be devastating. This cool app discusses the most important topics in brain and nerve diseases and is ideal for all medical professionals, medical residents and interns, nurses, medical students, and of course curious lay people who just want to learn more about brain and nerve diseases.